Every individual is unique; from DNA makeup to personality, even one’s online presence is particular and can’t be duplicated 100%. 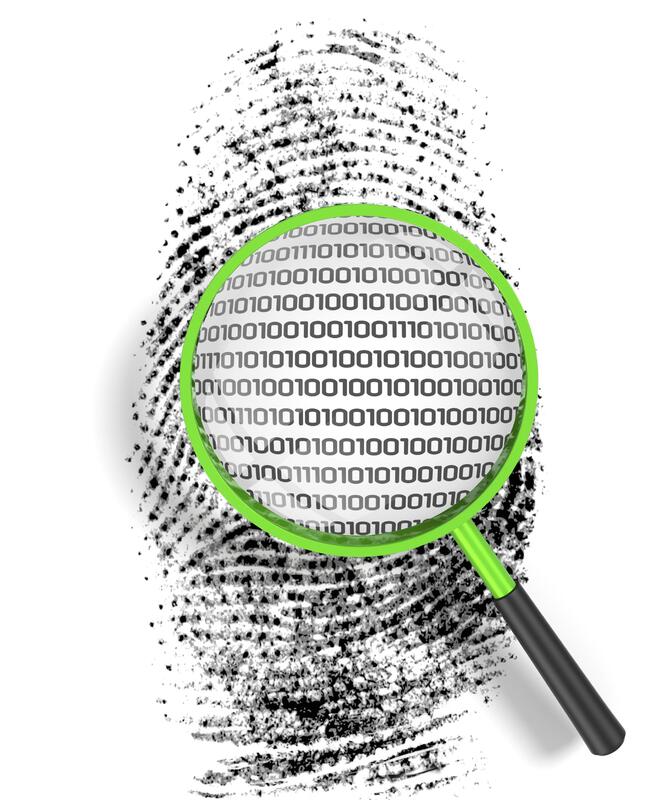 As experts in the space of contact data quality and contact data validation, we look at a unique contact record as that individual’s digital fingerprint. Fingerprints are usually associated with forensic science, or the science of gathering and examining evidence of past events. Since every human being has a unique fingerprint, it is a surefire way to identify the exact people who were present at the scene of a crime. Using fingerprints for identification is not always this scandalous, however, and is sometimes a precautionary measure for prospective employers to verify that an applicant is really the person he or she claims to be on paper. Our composite fraud prevention tools employ a similar logic when validating contact data. They look at five specific data points which define each customer or contact –it’s like scanning their digital fingerprints. When we find that the user-supplied contact information doesn’t match the data points in our contact set, our APIs flag the contact for further investigation. In some exceptional cases, legitimate users may stray from a few components of their digital fingerprint; they may interact with your website from a foreign IP address while they’re traveling, or begin using a different email address if their old one got hacked. But most of the time, an unrecognized combination of contact data points is a red flag. What exactly are the five pieces of information we consider to make up one’s digital fingerprint? Name. Every real, genuine online user has a name. One’s full name may be parsed into prefix, first, middle, last, and suffix, and each name will have a correct and particular spelling. More than one person can certainly share the same, exact name, but in conjunction with the other key data points, the name fortifies an individual’s digital fingerprint. Address. The shipping or billing address supplied by a user is a strong indicator of the contact record’s integrity. A valid address will give the location of an existing and occupied residence, business, or post office box. Phone Number. Phone numbers are registered to people and organizations, and therefore are associated with at least one contact. It is also important to note whether a phone number is still connected and in service, what line type it currently is, and if it’s been ported. Email Address. In many online activities and interactions, users must provide their email address. Especially in eCommerce, a valid and active email account is a vital part of the customer’s digital fingerprint. Online businesses need their users’ email addresses to maintain communications and the relationship, and without it, they don’t have the user’s complete digital fingerprint to verify. IP Address. The geolocation of an online user’s connection, via his or her IP address, is vital to fraud prevention. Identifying use of public or anonymous proxy servers can give you insight on that person’s genuineness and integrity. Any one user may engage with your website using various forms of his or her name, addresses, phone numbers, email addresses, or IP addresses. So an individual’s digital fingerprint may encompass multiple combinations of these datapoints; but any valid and verified combination of a name, address, phone number, email address, and IP address is sure to be attributed solely to one person. After all, even identical twins, who have indistinguishable DNA, have their own distinct fingerprints, both physically and virtually. If you’d like to see how Lead Validation can help you verify the identity of your contacts by looking at their unique digital fingerprints, please request a demo, or start a free trial.